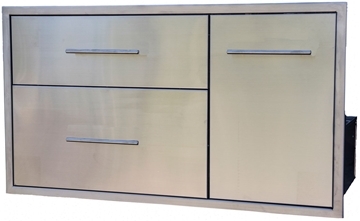 This BBQ Island Triple Drawer is constructed of commercial grade brushed 304 stainless steel. Perfect welding and polishing. 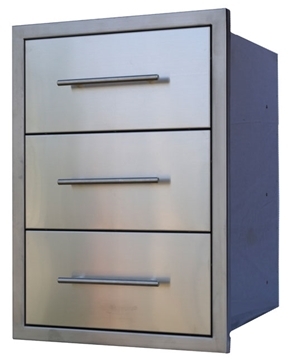 Stainless steel ball bearing glides to ensure easy opening and closing. 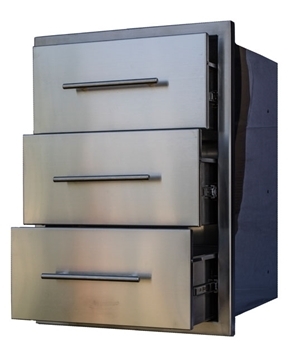 Great addition to Outdoor Kitchens. 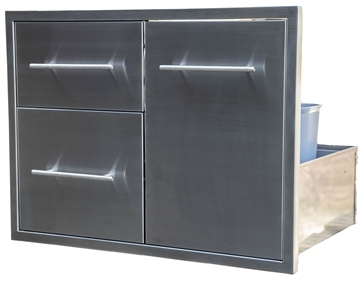 This BBQ Island Double Drawer Slide Out Trash Combo is constructed of Commercial grade brushed 304 stainless steel. Perfect welding and polishing. 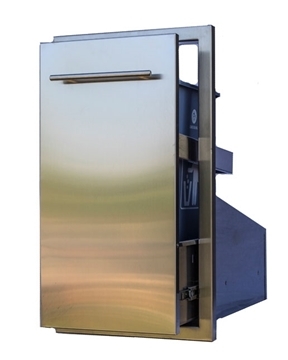 Stainless steel ball bearings slides to ensure easy opening and closing. 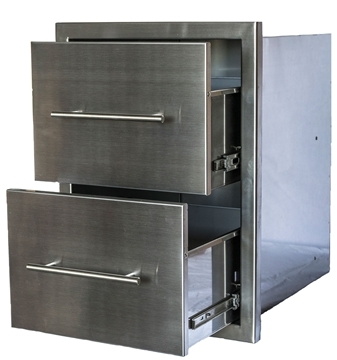 Double walled access drawers. 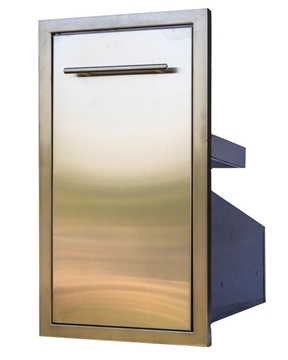 Great addition to any Outdoor Kitchen. 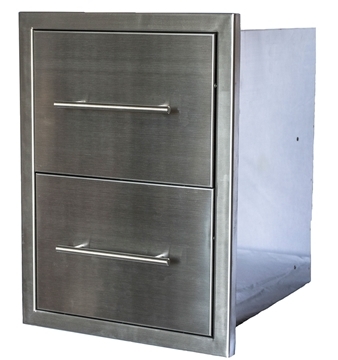 This BBQ Island Trash Can/Tank Drawer is constructed of commercial grade brushed 304 stainless steel. Perfect welding and polishing. 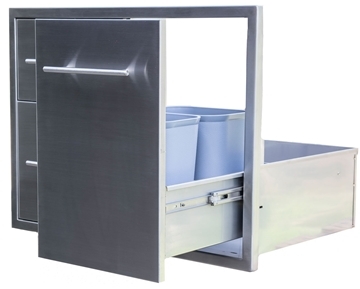 Stainless steel ball bearing glides to ensure easy opening and closing. 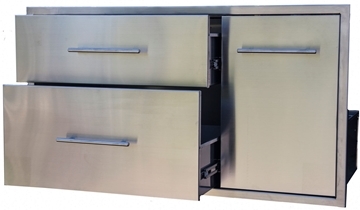 Great addition to Outdoor Kitchens.